Smartphone and tablet use has grown exponentially over the past few years. With that growth has seen more children using these devices. 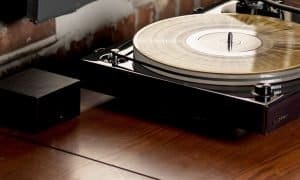 While most of these devices have speakers, sometimes kids need headphones too. 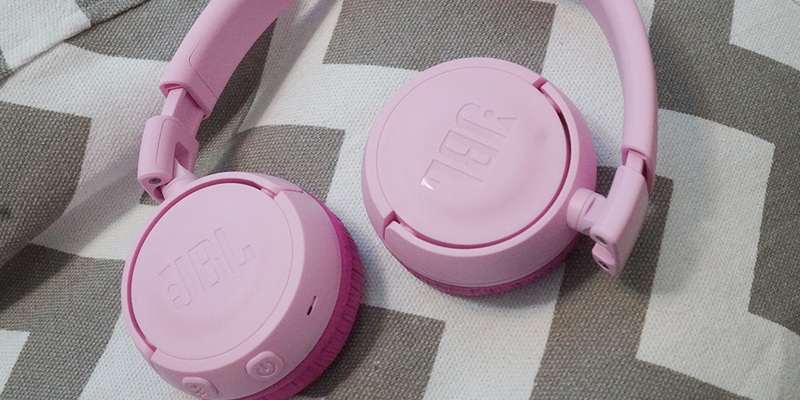 The JBL JR300BT Bluetooth headphones are an excellent solution for kids as they have been designed to keep your child’s hearing safe while providing high-quality sound. For those parents who want to be sure the content their kids are listening to doesn’t blow out their ears, these are an excellent choice among the sea of Bluetooth wireless headphones. 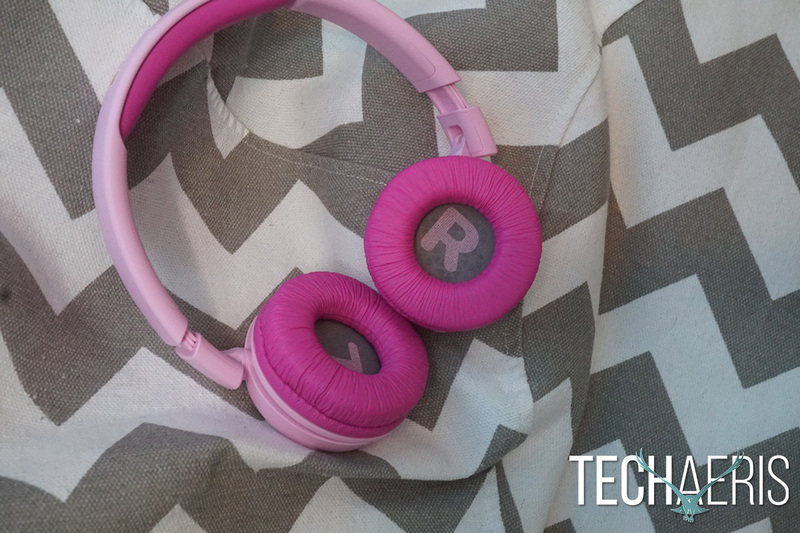 Read on for our full review of the JBL JR300BT Bluetooth headphones. 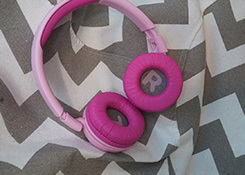 The JR300BT headphones are obviously designed for kids. The bright colors, smaller form factor, and sticker decoration pack are dead giveaways for a kid-focused product. These headphones are pretty much constructed 100% of plastic with some foam and metal screws. JBL says the plastics on these have been tested and are high-quality and made to withstand kids usage. The materials do feel well made and the headphones feel feather light but still sturdy. The JR300/JR300BT consist of plastics, synthetic leathers, and foams. All JBL Jr products were put through extensive tests and are compliant with Standard Consumer Safety Specification for Toy Safety. The ear cups swivel as well as fold in for easy storage. 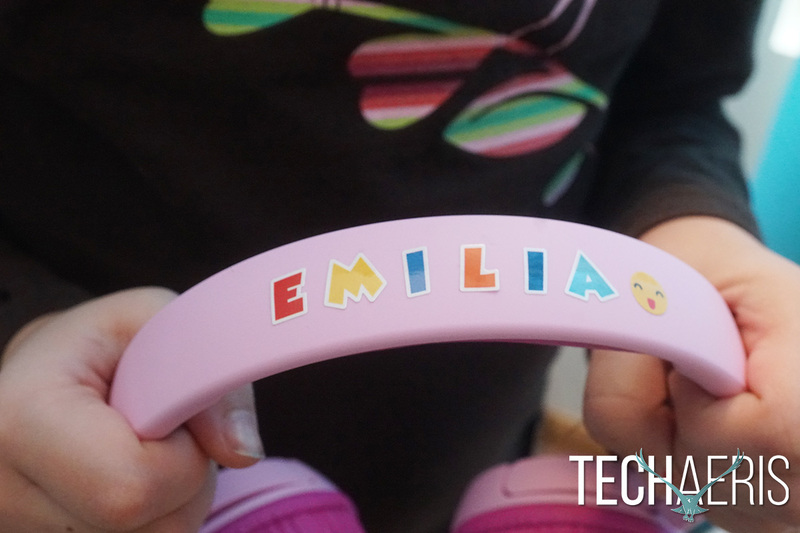 The padding on the ear cups and the headband are soft and made well enough for children. The right ear cup is where you’ll find the power button, Bluetooth pairing button, and microphone. If you swivel the ear cup out you’ll find the MicroUSB port on the top. Overall, the design is simple, colorful, and functional. The added sticker pack is nice and allows kids to decorate their headphones however they like. Pairing to Bluetooth is super simple but may have to be performed by an adult. Just open up Bluetooth settings on your device, press the power button on the JBL JR300BT headphones for about 5-seconds. 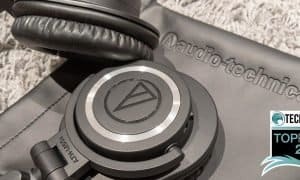 You’ll hear a tone that indicates the headphones are in pairing mode then just choose the JR300BT headphones on the list. 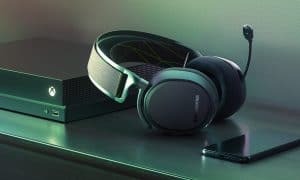 That’s it, next time you power on the headphones, they will pair to the device you paired them to. The controls are also easy to use, power button, Bluetooth button and that’s it. Overall, super simple to use and pair, some kids may need parents assistance. Because kids ears are still growing and keeping their hearing safe is paramount. JBL has made the JR300BT’s kid safe by limiting the output of the sound to 85dB. The sound on these is rather good, while they’re not on the same playing field as higher-end headphones, in my estimation, they are more than sufficient for kids. My 5-year old daughter used these and was very happy with the sound. The key to these headphones is the lower decibel output, 85dB is safe and won’t damage hearing. Overall, these sound really nice considering the price, build, and decibel reduction. Kids love the sound and comfort. Bluetooth reception is advertised at 50 feet from the source. This is a bit more than other Bluetooth headphones which only get about 35 feet from the source. This is actually very nice, as most kids tend to move around a lot. We were able to get just under 50 feet from source before the signal broke up. The headphones do have a microphone allowing for calls. 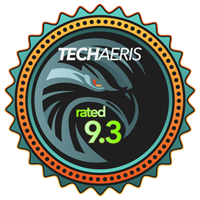 The call quality was acceptable and there were no major sound or reception issues. Battery life is advertised at 12 hours. This will vary on your use and we were able to pull just over 13 hours from these headphones before needing to recharge them. We tested this with volume at 40% with the source 5 feet away from the headphones. Sticker pack allows for personalization. The JBL JR300BT Bluetooth headphones are priced at $49.95USD. That’s a bit more than other off-brand kid headphones but the JBL headphones have a much better build quality. I fell the extra cost is going to get you a pair of headphones that will last longer than off-brand or Amazon special headphones. 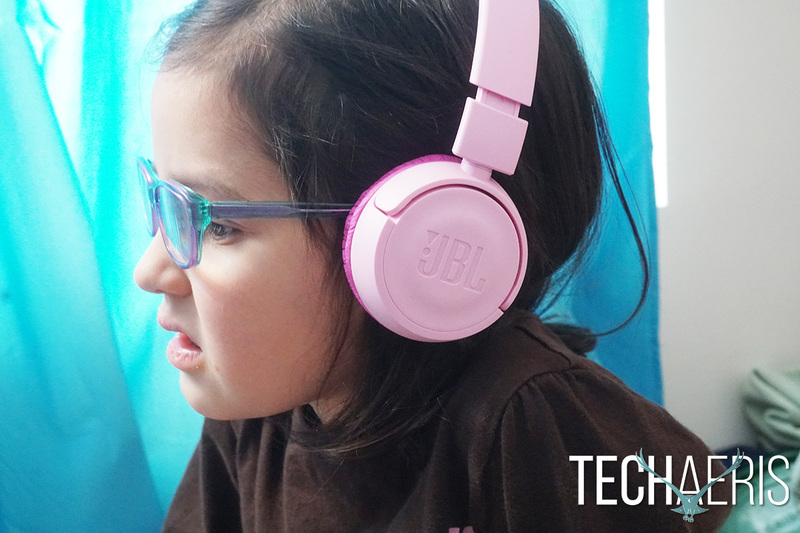 The JBL JR300BT are an excellent pair of Bluetooth headphones for kids with great sound, good build, safe for kid ears, and nice personalization options. The price may be a bit much for some considering they are for kids but there is definitely value in these headphones. *We were sent a sample of the JBL JR300BT headphones for the purposes of this review.